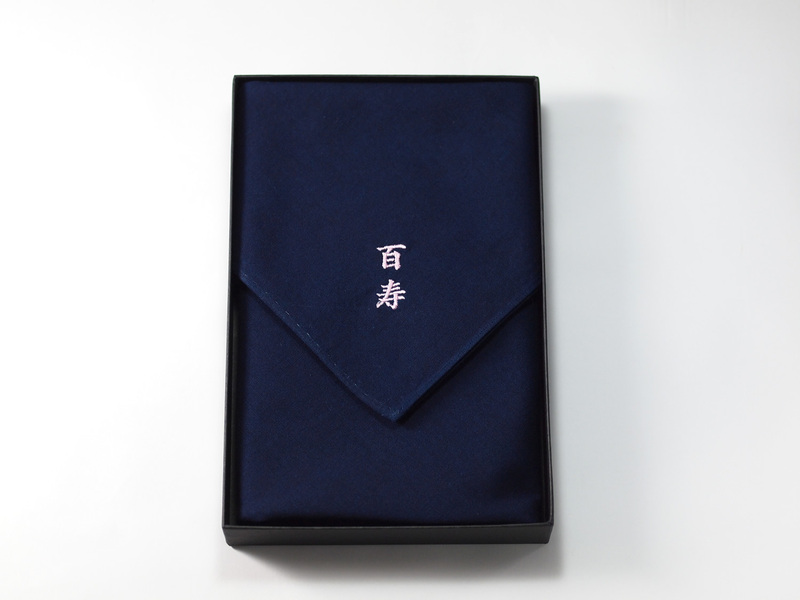 Indigo dyed Furoshiki (wrapping cloth) with pink-colored letters “百寿 (Hyakuju).” In Japan, “Hyakuju” is the centennial anniversary for who has spent his/her life in 100 years. At this time, one family gave us an opportunity to make this for their happy celebration. Kanji letter “百” is usually pronounced as “Hyaku,” meaning one hundred. But, sometimes this letter is also pronounced as “Momo,” meaning peach or pink. That’s why we use pink-colored yarns for the Hyakuju needleworks.